"Home was the same as when Martha had left it, but because she had changed, her world seemed slightly different, as though she were seeing everything in sharper focus." I started reading this book completely at random. I wanted something short and I will admit that the silver "Newberry Honor Book" medallion on the cover appealed to me. I had heard of Kevin Henkes' 2003 middle-grade novel, but it had never been one to which I'd given a second thought. The novel begins when weeks after Olive Barstow's death, Martha Boyle receives a page from Olive's diary. The eeriness Martha feels about receiving this item and the connection she feels to what she reads are further complicated by the fact that Martha and Olive were never really friends, just acquaintances. Haunted by these words, Martha travels with her family to spend the summer visiting their grandmother. While there, she develops feelings for the boy next door, tries to begin living her dream of being a writer, copes with her aging grandmother, and escapes some near misses in the water all while trying to sort together the pieces of her life. While the summary I just gave you was accurate, it probably makes the book sound better than it actually is. Yes, all of that happens, but the novel seems to lose its footing early on and I lost interest after the first few chapters. I finished because it is short and that blimey silver medallion on the cover motivated me to keep reading, but for me the storyline never really regains the strength and interest it created in the first third of the novel. Olive's Ocean is a fine book, but not much more. The premise of Olive's impact upon Martha holds great promise, but the execution feels superficial and a bit trite. 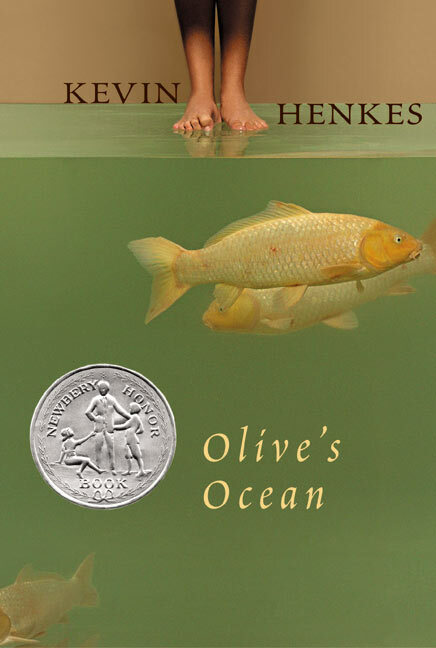 Henkes' book is a perfectly acceptable middle-grade tale for children ages ten to twelve, but it doesn't hold much substance or punch for older audiences. Rumor has it the novel is being adapted to film, so perhaps this reinterpretation will enhance areas that I felt needed more substance. I read this and felt the same way you did. Sometimes that silver (and gold) medallion goes to the wrong book.